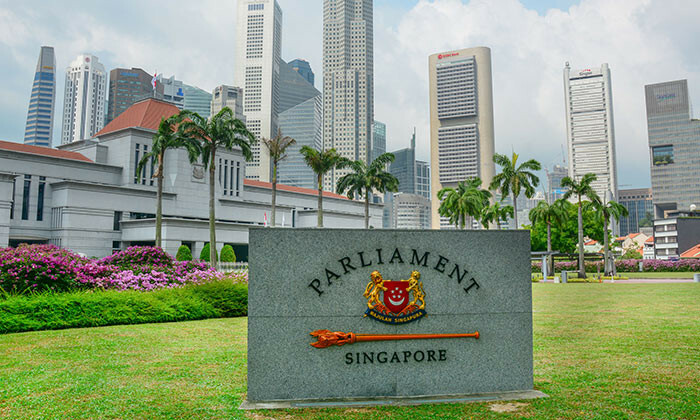 At yesterday’s Parliament sitting, the Minister for Manpower Lim Swee Say provided four oral responses to questions from Members of Parliament (MP) on various workforce topics such as retrenchment assistance, income gap, WDA programmes. These questions were asked by MP Patrick Tay Teck Guan, MP Saktiandi Supaat, and MP Patrick Tay. Based on the last survey on retrenchment conducted by the Ministry of Manpower (MOM) in 2013 for retrenchment carried out in 2012, 9 in 10 companies paid retrenchment benefits, said Minister for Manpower Lim Swee Say. The 2013 survey showed that the norm was to pay a retrenchment benefit of between two weeks and a month of salary per year of service. The Tripartite Guidelines on Managing Excess Manpower and Responsible Retrenchment are issued and periodically updated the, Lim said, to remind the employers to implement retrenchment exercises in a responsible and sensitive manner. As for the payment of benefits, the EA stipulates that no employee who has served less than two years shall be entitled to any retrenchment benefit, Lim noted. Are there plans for WDA programmes to be extended to university graduates, in particular those who are unemployed; and will the ministry consider more grants and financial aid for older graduates looking to upskill themselves under professional conversion programmes (PCP), MP Saktiandi Supaat asked. “WDA programmes and initiatives are already extended to university graduates, including fresh graduates,” Minister for Manpower Lim Swee Say said. In fact, 2015, of the job seekers assisted by WDA and e2i, 17% hold a degree qualification, Lim pointed out. With regards to the income gap, MP Saktiandi Supaat asked: How has the income gap been trending over the past five years? What are longer-term strategic plans to narrow the income gap in a sustainable manner? How many people are in the bottom 20th percentile of household income over the past five years? “The number of people in the bottom 20th percentiles of household income over the past five years has remained stable, alongside natural changes in total number of working households and household size,” Minister for Manpower Lim Swee Say said. He added that over the last five years, the Gini coefficient remained relatively stable, at 0.472 in 2010 and 0.463 in 2015 while the average household income from work per household member for the 1st and 2nd decile both grew by around 24% in real terms – the highest among all deciles. The government’s core measures to help low-wage workers include the implementation of Workfare Income Supplement and Training Support for all lower-wage workers, and the use of policy levers to implement the Progressive Wage Model in the cleaning, security and landscaping sectors. “In the recent G20 labour and employment ministerial meeting held in Beijing last month, this was one issue being discussed by the labour Ministers from G20 countries, which is on the widening of income gap. Which is the reason they call this inclusive growth,”Minister for Manpower Lim Swee Say said. “In the case of Singapore, we adopted slightly differently. Our approach is through WIS, WTS and PWM. I am happy to say that the approach adopted by Singapore drew some interest from countries. “Having implemented minimum wage for a long time, many countries found that they have not found a way to help the Low Wage workers to break away from wage stagnation at the bottom,” he added. While the implementation of PWM in Singapore is still in the early stages and there is room to strengthen it further, he noted that many countries at the G20 meeting have a greater interest in what Singapore is doing under PWM. “In a way, we want to make sure workers at all levels to be able to see their wages go up in a sustainable manner, we agree the best way is through productivity, innovation, job transformation through skills upgrading. I would say that this effort is well underway,” Minister for Manpower Lim Swee Say said.